Russia's Igor Mikhalkin has been suspended for two years after testing positive for banned substance meldonium. The EBU light-heavyweight champion failed a drugs test on 12 March, following his unanimous points victory over Frenchman Patrick Bois in Paris. Mikhalkin has been stripped of the belt he successfully defended three times, according to the European Boxing Union. 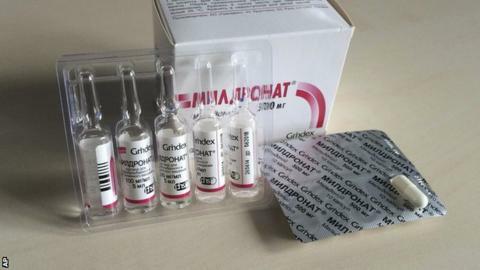 Meldonium was added to the World Anti-Doping Agency's banned list in January. Over 100 athletes have tested positive for the drug, including former Wimbledon champion Maria Sharapova. On 25 March, Russian sports minister Vitaly Mutko confirmed 27 Russian sportspeople had tested positive for meldonium this year. The EBU's general secretary Enza Merchionne Jacoponi said: "Igor Mikhalkin tested positive for an illegal substance last month and, in accordance with the rules of the EBU, he was stripped of his belt. "The illegal substance in question was meldonium, which is now on Wada's banned list but was not on the list until January of this year. "We asked him if he had taken the drug, and he confirmed it. That is why no counter-analysis of a B sample has taken place."